On the occasion of Vietnam Manufacturing Expo 2018 to be held in Hanoi in August, Vietnam Business Forum conducts an interview with Mr. Harry Nguyen, Overseas Assistant Manager of LKM Group, one of the world’s leading mould base suppliers. Can you make a brief introduction of LKM Group? Founded in 1975, Lung Kee Group (LKM) is one of the world's leading mould base suppliers, servicing mould makers worldwide. LKM's main business lines are standard mould bases, high precision interchangeable plates, custom-made mould bases, precision machining and mould components. LKM is also a distributor of quality tool steel brands such as Assab, Daido and "LKM Special Steel". LKM operates production facilities in China, Japan, Taiwan and Malaysia. With a work force of around 7,000 employees and a portfolio of over 600 CNC machining centres. Beyond Asia, LKM enjoys a strong presence in the European and American markets through a network of business partners. During the past 40 years, LKM was a participant in the incredible growth story of the mould making industry in Asia. 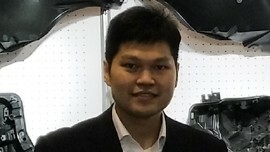 LKM was the first Hong Kong company to introduce CNC machining centres for mould base manufacturing. How about LKM’s targeted customers and the growth ratio of markets? Our targeted customers will be all the mould makers and we expect we will able to achieve high growth in this market. Through commitments to quality and integrity, and a relentless drive to excellence, LKM developed from its modest beginning into an industry-leading powerhouse in mould base manufacturing. Its reputation as the industry leader was further solidified through listing on the Hong Kong Stock Exchange in 1993. Can you estimate the perspective about industrial production and trade in Vietnam? What are opportunities for Vietnam to attract more foreign direct investment? We believe Vietnam is undergoing what China have experienced in the 80s and the 90s, working with low labor cost and high efficiency. We can simply look at what China has become today and to imagine what Vietnam could become in the future. Vietnam has successfully attracted huge foreign direct investments recently, but the local supporting industries are still behind the game. We believe it will move very quickly because Vietnamese have very good work ethics and are very hard working. The rising demand of high precision products is a big challenge for local manufacturers to take advantage from this trend. How LKM Group can help Vietnam manufacturers to upgrade their production chain toward “smart factory” to meet this demand? LKM is aware that over the last 10 years, many famous Japanese companies have established their production facilities in Vietnam and they have a high demand for precision products. By setting “standardization”, LKM strive to work with the local Vietnam tool makers, supporting them with our reliable, high-precision mould base to strengthen their competitiveness. How about the plan of attending Vietnam Manufacturing Expo 2018? What are LKM key products at the exhibition? In VME 2018, LKM wants to establish more collaborative partnerships with the local Vietnam companies, and want to the engage more often in the Vietnamese mould industries. 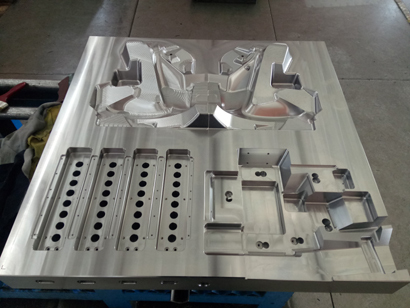 We will present a custom-made mould base to show LKM high precision machining ability. We will also display our standard products. Can you share the marketing plan of LKM Group in next three years? We shall expand our presence worldwide in the next few years, to become the 1st choice supplier for all mould makers.